The script for The Comedian has been written by Jeff Ross. Jeff is an infamous stand-up comedian with his expertise in comedic insults. Starting his career in 1996, Jeff is not limited to comedy as he is also an important part of many political movements including Occupy Movement. He is infamous for gelling comedy in politics for the promotion of these movements. 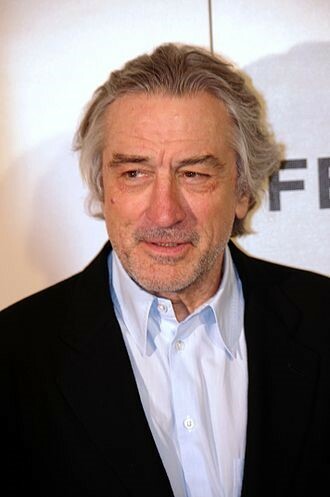 Robert De Niro is not only directly but also starring in the film. Robert is playing the role of a comedian with specialty in Don Rickles-style. As the script has been written by Jeff, Robert will be spreading gags with comedy specializing in insult comic. Jenifer Anniston also stars opposite to Robert. Anniston meets Robert in a wedding and falls for him. Now, both of them have come closer. If you are interested in becoming a part of the show then have a look on the casting details. It is a Jewish wedding scene and the actors and babies will be playing featured roles in the scene. Robert De Niro will also be there on the shooting site so it is a great chance to meet your favorite comedian. Caucasian male actors are required to play the role of the Uncle of a principal character in the Jewish wedding scene. The casting crew is looking for older SAG/NON-UNION actors. It would be great if the actors are professionally trained in Cossack Dancing. You may also apply for this role if you are a semi-professional actor. The shooting for Jewish wedding scenes will tentatively begin on March 02 and March 03 in the Queens Area. It is important that all the applicants are comfortable for shooting in the Queens area. The actors should also confirm their availability in the email profile. The shooting dates are subject to change so make sure to approve of a flexible schedule. If you want to apply for this role then send your email profiles including the following requirements to comedian@gwcnyc.com. When creating your email profile, make sure to write the subject line in the given format. The age of this character has already been mentioned. Candidates under the age of 60 years may also apply for this role, provided that they look like 60 years. Make sure to attach at least 2 valid forms of US issued ID. The casting directors are also looking for non-union Brunette twin babies to play the role of grandsons of a principal character. Read below to find out more details about this role. It is essential that both the babies have their valid NY work permit. The work permit will not be provided by The Comedian production. All the candidates applying for this job must be willing to obtain their own valid NY work permits. The babies should also have their own trust accounts. The babies will not work on the sets together. Therefore, make sure to send the babies with individual guardians to take care of them on the sets. If you have Caucasian Brunette babies of 9-12 months old or know someone with twin babies then attach the following requirements in the email profiles and send it to comedian@gwcnyc.com. If you children have worked on any other set before then make sure to mention it in the email. Make sure to write down the subject line of email profiles as follows. The children must have their own US ID for working in The Comedian. The US ID may be recorded as US Passport, Birth certificates, social security cards, daycare records, medical records, etc. Only locals are encouraged to apply for this job. Please do not apply if you are not suitable for any of the given descriptions or you are not a local.